Happy Father’s Day to all the dads out there! We thank God for all of you today, and pray that He strengthen and bless you. 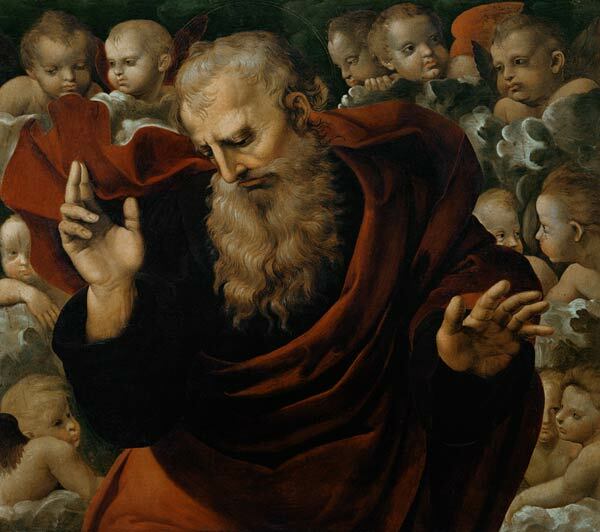 May you live your lives in imitation of Our Heavenly Father, helped by the mighty intercession of St. Joseph. For this cause I bow my knees to the Father of our Lord Jesus Christ, of whom all paternity in heaven and earth is named, that he would grant you, according to the riches of his glory, to be strengthened by his Spirit with might unto the inward man, that Christ may dwell by faith in your hearts; that being rooted and founded in charity, you may be able to comprehend, with all the saints, what is the breadth, and length, and height, and depth: To know also the charity of Christ, which surpasseth all knowledge, that you may be filled unto all the fulness of God. Below are a few prayers for this day – one for us to pray for our fathers, and two for fathers to pray. There is also a prayer for those of us who didn’t have a father in our lives, or perhaps we had one who didn’t take up his role as protector and provider of our families. We can cast ourselves into the loving arms of God the Father, Who is truly the Father of us all, and Whose love and care for us is everlasting. sharing in your wondrous work of creation. and treat her with the love of Christ for his Church. and help her to find your peace and your grace.Bless my children with your life and presence. be their hope and support.I ask you, Father, to protect and bless my family. always bear witness to your glory in the world. O gracious Father, Maker and Preserver of heaven and earth, who in the beginning didst institute matrimony, thereby foreshadowing the mystical union of the Church with our Savior Christ, who, during His ministry upon earth, did honor marriage with His first miracle: help me, I pray Thee, by Thy grace to live in holiness and purity with the wife whom Thou hast given me. Mortify in me all violence of earthly passion, all selfishness and inconsiderateness (here name any besetting sin which may be a hindrance to you), that I may love her as Christ loved His Church, cherish and comfort her as my own body, and have as great care for her happiness as for my own. Grant that we may live in peace, without contention; in unity, without discord. [Give us, O Lord, discreet heart and understanding minds, to bring up our childrenin Thy faith and fear, that they may be obedient to Thee and to Thy commandments, and to all that Thou requirest of them in their duties towards their parents.] And give us, O Lord, a sufficiency of those things necessary to maintain ourselves and our family according to that rank and calling wherein Thou hast placed us, without excess or vainglory, in singleness and pureness of heart. Grant this for Jesus Christ’s sake, to Whom, with Thee and the Holy Ghost, be all honor and glory, now and for ever. Amen. from the fullness of my soul I adore You. and to rest in You forever. and as Your Beloved Son Jesus does. This entry was posted in Uncategorized and tagged Families, Father's Day, Fathers, God the Father, St. Joseph by texasnuns. Bookmark the permalink.